Trump election as the 45th American president and his intention to put his country’s interest first will affect the economy in Australia. His foreign policies are likely to change the relationship between America and her allies. Australia must prepare itself to accommodate the changes that America will bring forward. America has adopted policies like the withdrawal from the Trans-Pacific Partnership (TPP). The hopes that Australian businesses expected to leap from the deal are all gone. This means the benefits regarding finance and job opportunities that would have been realized out of the agreement will not be achieved. From what the new administration has so far done, it is not difficult to say what to expect in 2017. Due to the collapse of the TPP, Australia will, therefore, depend on free trade agreements with the USA, Japan, and New Zealand and the bilateral agreement with America. The use of bilateral agreement by our government is what to expect in 2017. Australia and America have worked in various major projects together which has helped in strengthening their relationship. Both countries are members of NATO and have cooperated in the war on terrorism among others. Equally, they have worked together in research and other programs. The government must ensure that it uses this close relationship to protect the Australian businesses and interests in America. In all undertakings, the government should remind the American President of the importance of working together with other countries. Australia must fight for its place in America. The government must ensure that no losses are made from the America’s new administration regarding finance or otherwise. President Trump has vowed to review various trade agreements between America and other countries. A change in the relationship between America and China is what to expect in 2017. President Trump is planning to introduce huge taxes on Chinese goods entering the American market. If he does so, then China will retaliate. The economy in Australia will not be spared if these two countries engage in trade wars. 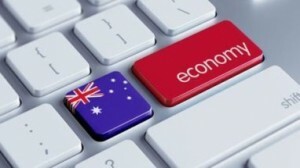 Australia is an open economy and therefore vulnerable to global commerce currents. If President Trump’s administration economic policies are implemented, this will lead to increased tariffs and restrictions on exports and imports. This would result in a reduction in trade volumes and revenue and higher cost of living. In the event, the Australian businesses would stand to lose. Jobs would also be lost. There has been American military presence in Europe and Asia-Pacific among other regions. However, President Trump is also determined to review the involvement of America in such activities. This has created political uncertainty in these areas. His determination to consider the security agreements with these countries is likely to cause an �arms race’ where each country will develop its military system. President Trump’s administration puts a lot of doubt on the existing alliance with Australia. Will America withdrawal its military presence in the Asia-Pacific? As a result, Australia is left with no other option but to arm itself. A withdrawal of American military would mean spending more money on defense by the Australian government. President Trump’s immigration ban is also expected to have an impact on Australia. What we expect in 2017 is an increased number of asylum seekers in our country. The government should, therefore, come up with a policy to regulate the entry of immigrants in the country.